I’ve been tagged by Robin Locker at My Mélange to provide my three best travel secrets. She actually tagged me on my Italofile.com site. But I had so many good secrets beyond Italy that I wanted to share my top three non-Italy secrets here. To see the Italy list, head over to Italofile. Have a look at both of them! Of course, it’s not fair to really call these “secrets,” as there are plenty of other people who have gone before me and recommended the same places. So, just consider these as my current favorites among a bucket-load of tips. The Lycian Coast of Turkey is awash in tourists, especially from Europe and particularly from the U.K. But Turkey, in general, has yet to take off as a destination for Americans, which is why I’m including it on my list. 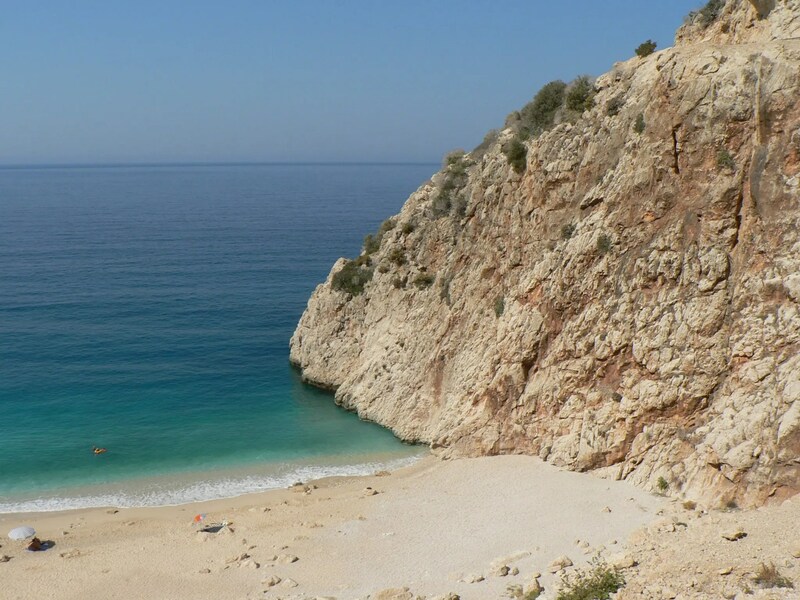 This ancient coast is the Mediterranean of my dreams, with dramatic cliff-framed beaches (the beach above is Kaputa? Beach) and ruins from ancient Greeks, Romans, and Lycians (an ancient tribe particular to this region) strewn about. In the off-season, from about October to April when it’s not blazing hot, you can hike the Lycian Way, a 500km trail from Fethiye to Antalya. For a beach holiday, consider staying in Ka? which has a lively, walkable downtown with bars, fish and meze restaurants, and organic textile boutiques. One of the most memorable trips I’ve ever taken was aboard a houseboat, adrift in the backwaters of Kerala, one of India’s most southernmost states. I wrote about my backwater trip at length way back in 2004 and, re-reading my posts from that time still give me blissful memories. 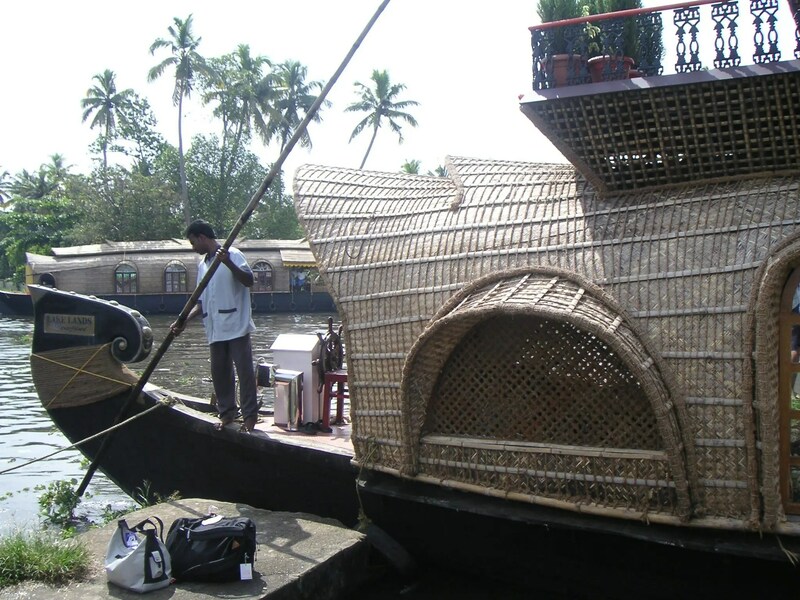 If you are fortunate to go to India and have time to make it to the south, do not miss the opportunity to ride aboard a kettuvalam (rice boat). I’m sure that with 3G networks these days, you can take this trip without unplugging from your phone and internet. But here is a chance to disconnect completely, with only books and scheduled meals to interrupt your quiet contemplation. When I started writing this list, I didn’t intend to have all beachy destinations. But so be it. Apalachicola is yet another place I have written about on this blog in a two-parter titled Long Weekend in Apalachicola Part 1 and Part 2. If you read those posts, you’ll see that this lazy beach town gets me back to my southern roots. 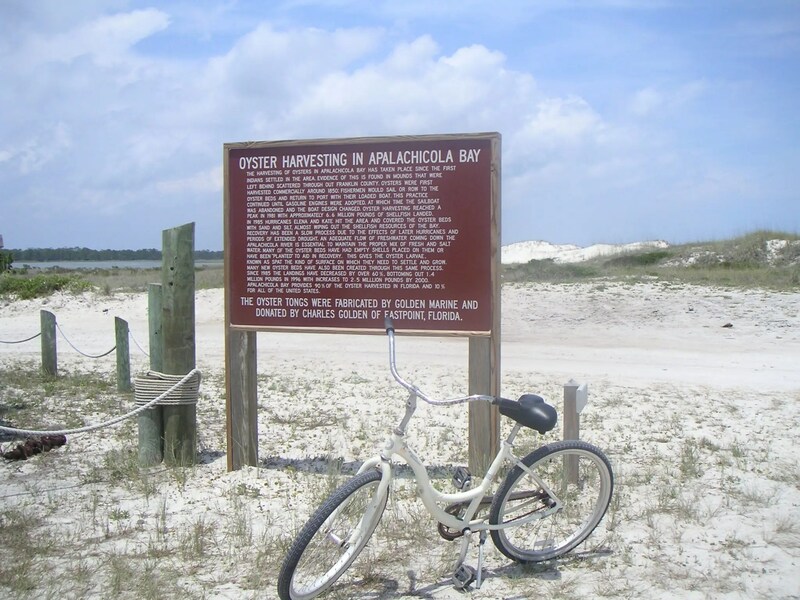 Apalachicola is also part of what’s called Florida’s “Forgotten Coast” because it’s largely undeveloped, in that it is lacking in the over-the-top, on-the-beach high-rise resorts that characterize much of Florida’s shoreline. Apalachicola is also the Oyster Capital of the United States, so you can get the fattest, freshest oysters here, either on the half-shell or fried up for a po-boy. So there’s my non-Italy list. I’m not going to tag a whole bunch of people like I did for my Italy list, but I will give props to Katie at Tripbase, who started this whole meme. It’s been fun! If you’ve enjoyed reading my tips and decide you want to dream up your own list, tag me. I’d love to read what others have to say. Fab beachy secrets. Oyster capital of the US sounds pretty good! !